Already using the Webinterpret cross-border solution? 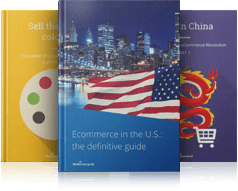 Or maybe interested in how it works and responds to the dynamic, ever-evolving world of global ecommerce? Here you will read about the new features of our product and the various projects and improvements we’re working on. We will share with you relevant information about what’s new in the Webinterpret world and technology. It is our priority to keep up with the fast pace and dynamics of the ecommerce industry and our solution evolves accordingly. If you want to know more, check out articles from this section!